Oh wow, seriously! This is awesome! You a lover of board games? Did you see that one episode of "TableTop" where Wil Wheaton played this game? Well, Microsoft is letting us play for FREE! 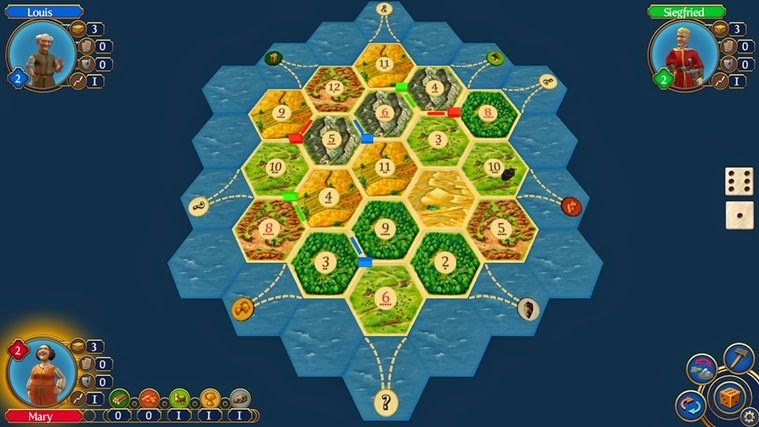 Catan is a classic game of settlement, growth, and expansion. It has been a popular game due to its simplicity of play, and complexity of strategy. Now, Microsoft has released a version of the game that you can play in your "modern" browser. What constitutes a modern browser? Chrome, latest version of IE, Safari, Firefox, etc. And this isn't limited to JUST the desktop or laptop browsers! You can play this game on your Android, iPhone, and Windows Phone; or you can play on your Android, iPad, or Windows tablets! So, why are you still reading? GO! Play it here!